KAMPALA. 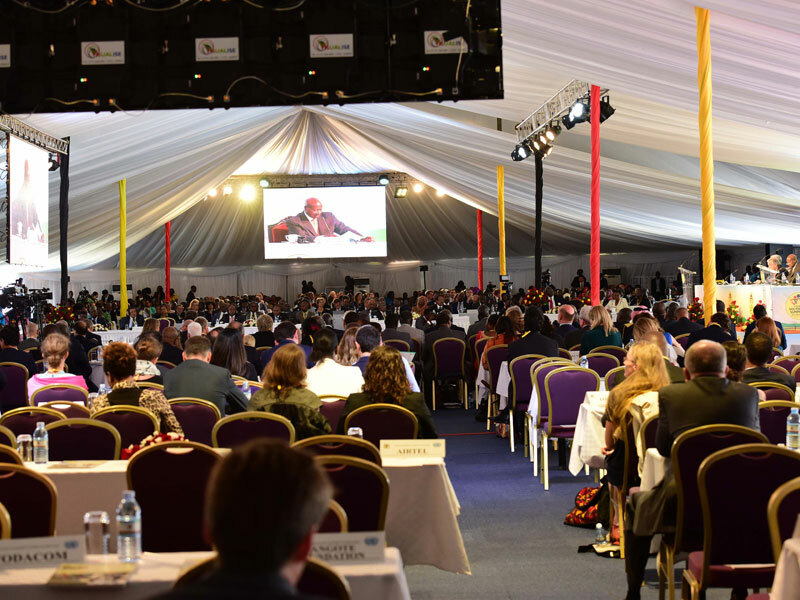 The United Nations and the International Conference of the Great Lakes Region (ICGLR) have been “totally un-useful” in managing the long-standing conflicts in the Great Lakes region President Museveni has said. Museveni who was addressing the “Uganda Solidarity Summit on Refugees” at Speak Resort, Munyonyo, yesterday, said the UN and ICGLR are supposed to handle the endless man-made crises in DR Congo, including the occupation of Eastern DR Congo by terrorists from Uganda, other East African countries, and DR Congo itself, but the regional and global body have had little success to show home for decades of their efforts. “The leaders, both in Government and Opposition, of the suffering countries have a very serious historic responsibility to end this haemorrhage and suffering of the poor African people affected,” said Museveni, who took time to explain the root causes of the refugee crisis that continue to plague the region. He said the region has been dealing with refugee issues for millennia in a dynamic context, explaining that historical issues such as migrations, fight for dominance, among others, in African traditional societies, all saw people leaving their cradle land to another where they would settle in as refugees . The summit was attended by UN and development partner leaders headlined by UN secretary-general Antonio Gutierres, and the UN High Commissioner for Refugees, Filippo Grandi. 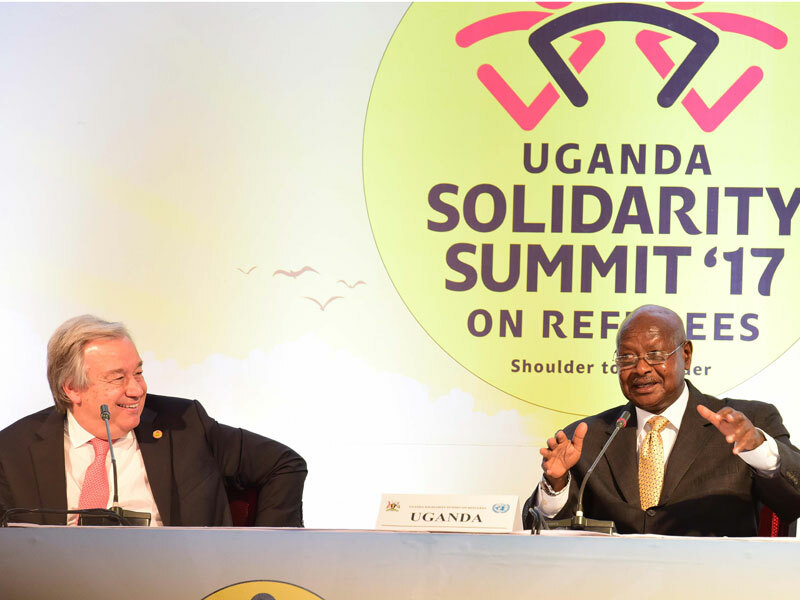 The Uganda Solidarity Summit on Refugees was discussed in January by President Museveni and UN Secretary-General, António Guterres at the sidelines of the 28th African Union Summit in Addis Ababa, amid consensus that the refugee situation in Uganda requires urgent specific attention. Giving figures, Museveni said Uganda currently hosts 1,271,000 refugees in total, including 950,000 from South Sudan, 216,612 from the Congo, 3,294 from Sudan (Khartoum), and 36,278 from Burundi. “It is not that difficult to absorb or to co-exist with the refugee groups because the entirety of the African population is comprised of only four linguistic groups; the Niger-Congo group of languages, the Nilo-Saharan, the Afro-Asiatic and the Khoisan,” Museveni said, explaining how African societies are interwoven and can easily understand one another. 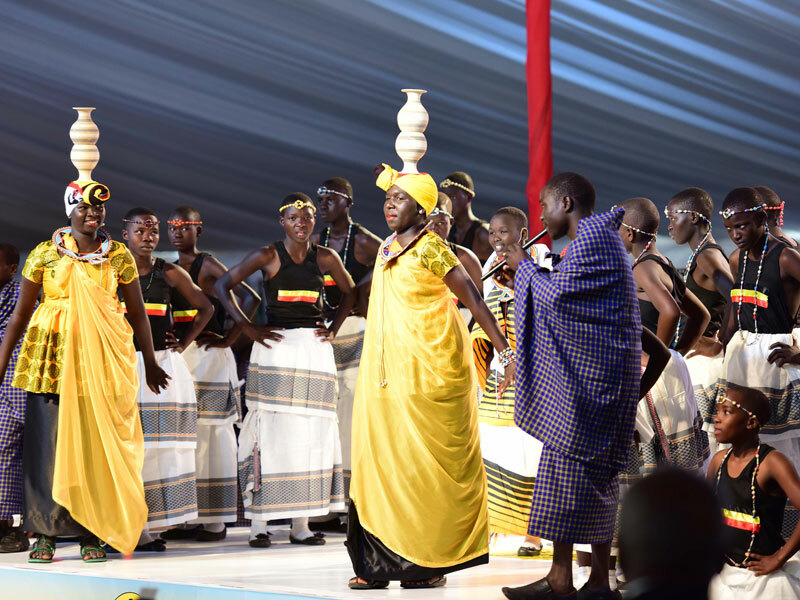 However, the President noted that the sudden influx of refugees owing to recent instabilities in the Great Lakes region present Uganda with the headache of feeding and sheltering the refugees and as well as provision of basic amenities such as clean water and health. “These refugees need education for knowledge and skills so that, having lost property in their home countries, especially for the children and the youth, they do not lose time for knowledge and skills acquisition. If the international community assists us to cope with these challenges, we will manage as we have done in the past,” he said in his appeal for refugee assistance. 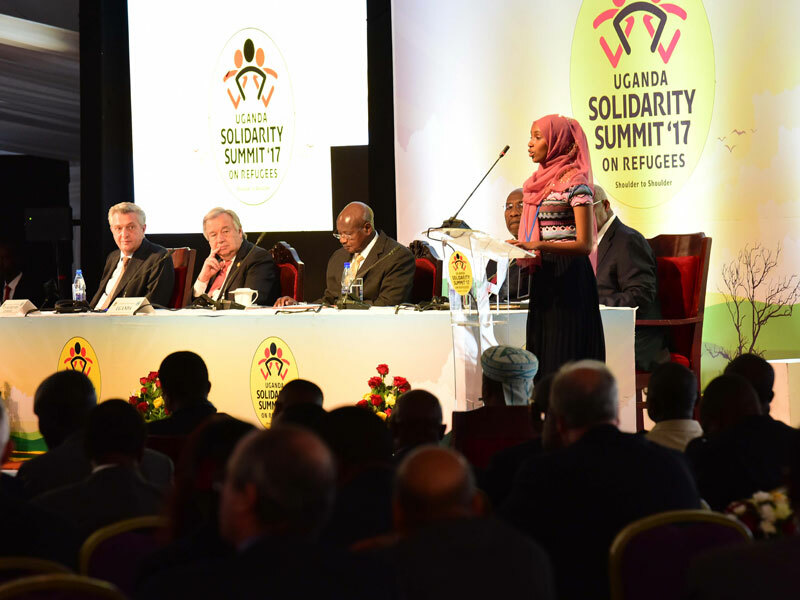 The Summit was widely covered by the global media with Western leaders lauding Uganda for its open-door policy on refugees. Development partners also responded in kind and cash, with the European Union announcing a €85 million ($95 million or Shs340 billion) in support, with additional €135 million from EU member states, bringing the total financial relief to €135 million ($235 million or Shs842 billion). On World Refugee Day, on Tuesday, the Directorate-General for European Civil Protection and Humanitarian Aid Operations contributed Shs8 billion toward UN Children’s Fund emergency nutrition and education response to the South Sudanese refugee crisis in Uganda. A refugee addresses the summit. Museveni said the Government discourages refugees from leaving their camps to avoid conflict with the rural host populations. “However, when they have skills and capital, they can locate to the urban centres and participate in the sectors of industry, services and ICT. The international community should assist those who are able to acquire that mobility,” he said. Msueveni said refugees flee from bad governments or from criminal, terrorist groups or both. Sometimes, he added, they may flee from drought, “which is easier to understand” because it is not man-made. “It is the man-made crises that are totally unnecessary and should be condemned. The regional mechanisms, if actively used, supported by the International community, can help resolve the man-made crises,” the President said, citing the Inter-Governmental Authority on Development (IGAD) that is trying to handle the problem in South Sudan. He said the regional bloc, EAC, was handling the Burundi crisis and appealed to the Government of Pierre Nkurunziza to “make our work easier than it has been,” but conceded that failure to resolve the conflict would be the responsibility of the EAC. Museveni is the mediator in the Burundi crisis that exploded in 2015 when President Nkurunziza decided to seek another term in office, a move that sparked violent demonstrations in the country, culminating in a coup attempt. “Bad politics, utilising the pseudo-ideology of opportunistically exploiting identity of religion or tribes is behind most of these crises,” Museveni said.